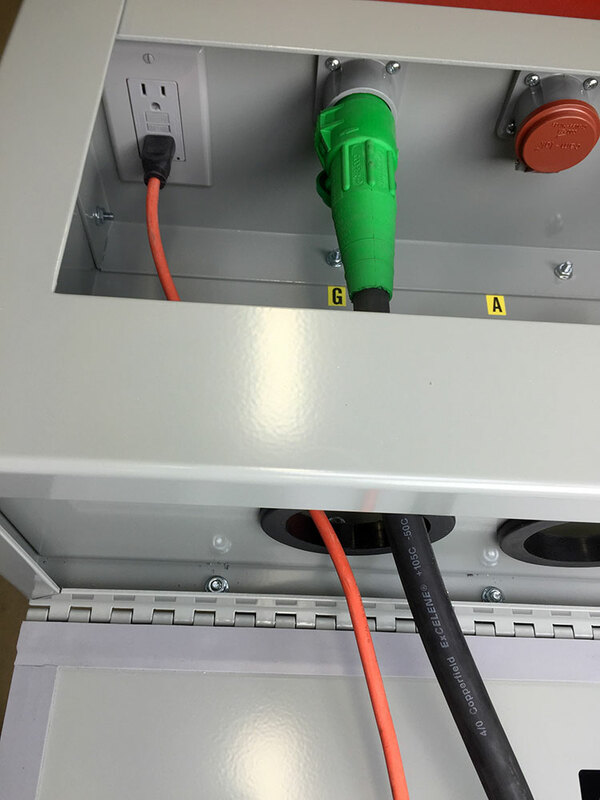 Switch with (1) form C contact wired to a terminal block, actuated by the temporary cable access panel. 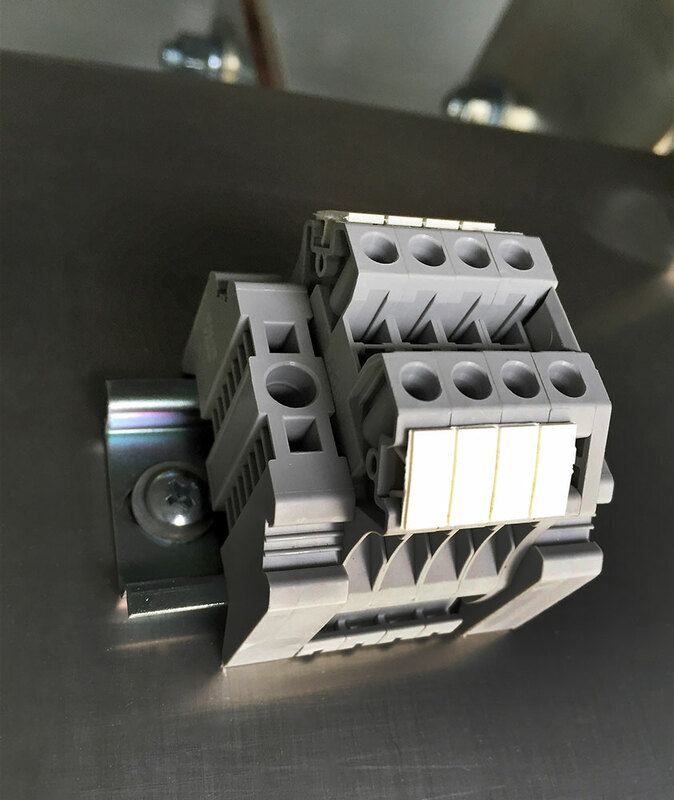 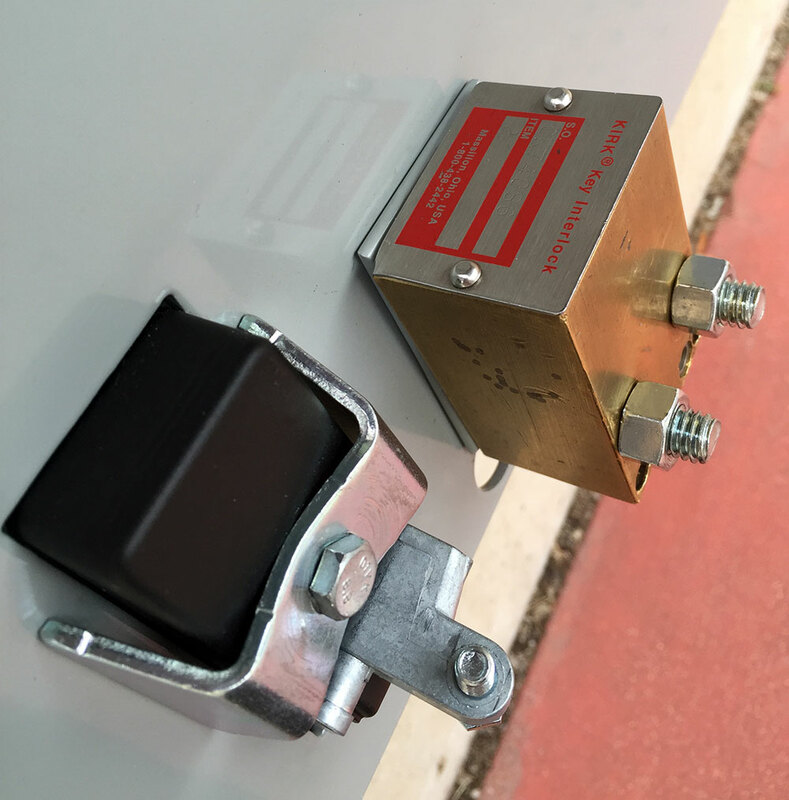 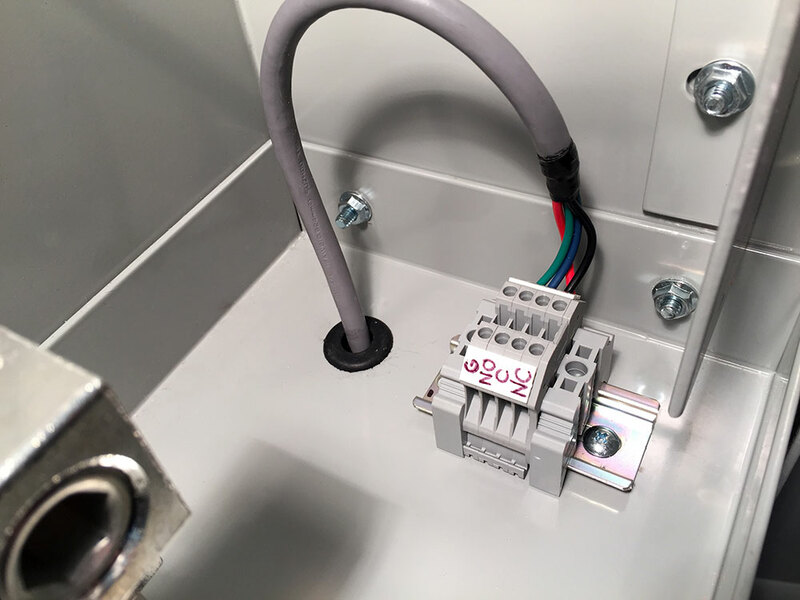 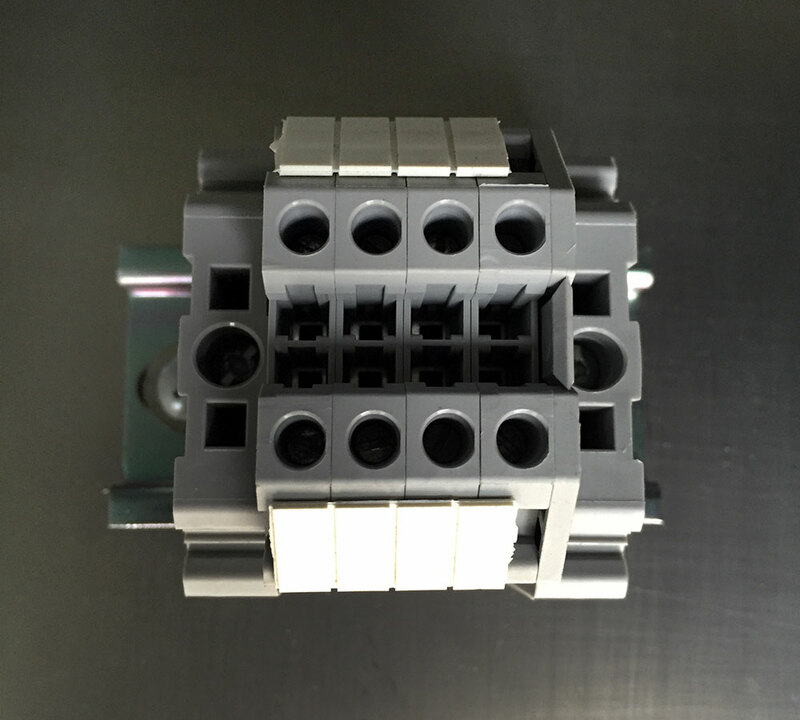 When connected to the shunt trip on the permanent engine breaker or the utility service main breaker, it serves to prevent asynchronous connection of the two sources. 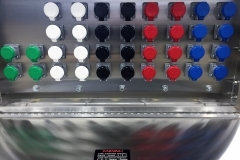 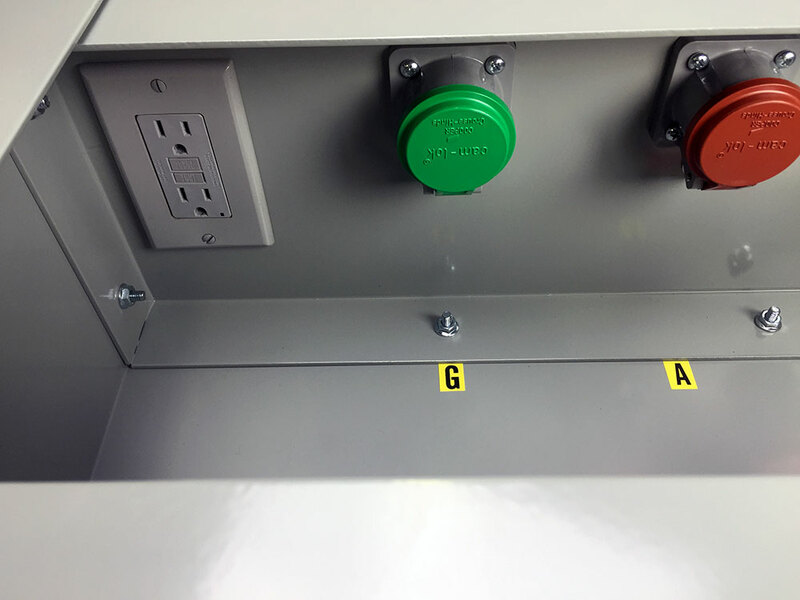 Shunt tripping the preferred source also prevents the Generator Connection Cabinet from being back-fed, thus ensuring the cabinet is de-energized when personnel are making connections. 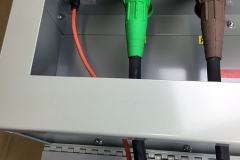 Prevents access to temporary connections unless key is present. 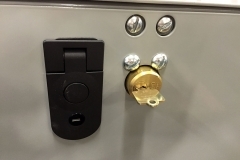 Key is held captive when door is open. 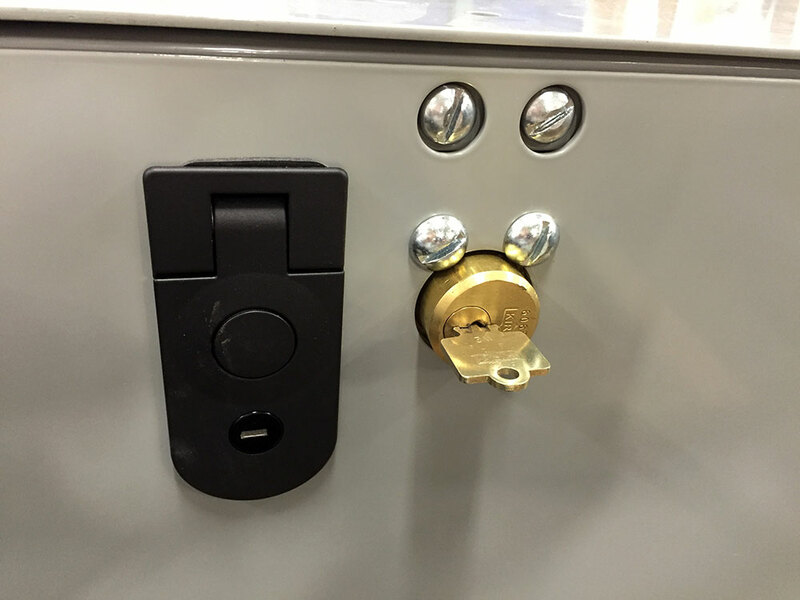 Note that this is a provision only for user-provided key interlock. 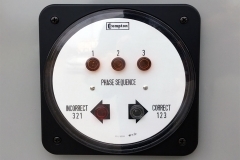 See downloads for additional details. 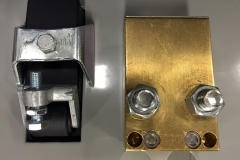 Used to ensure that the temporary engine is connected with the same phasing as the utility source. 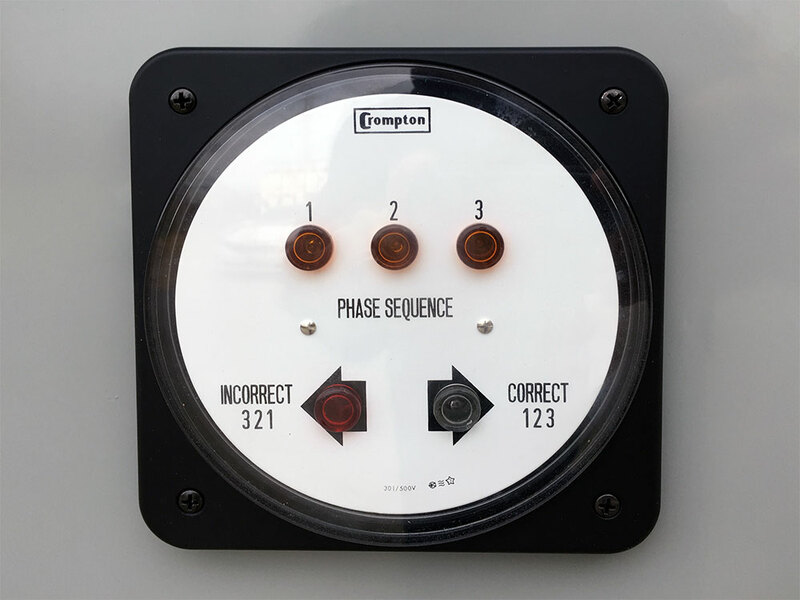 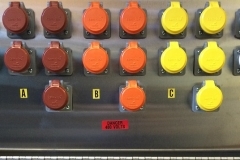 Indication is provided by a Crompton switchboard-style meter with neon indicator lights for phase sequence indication (correct or incorrect) and phase failure. 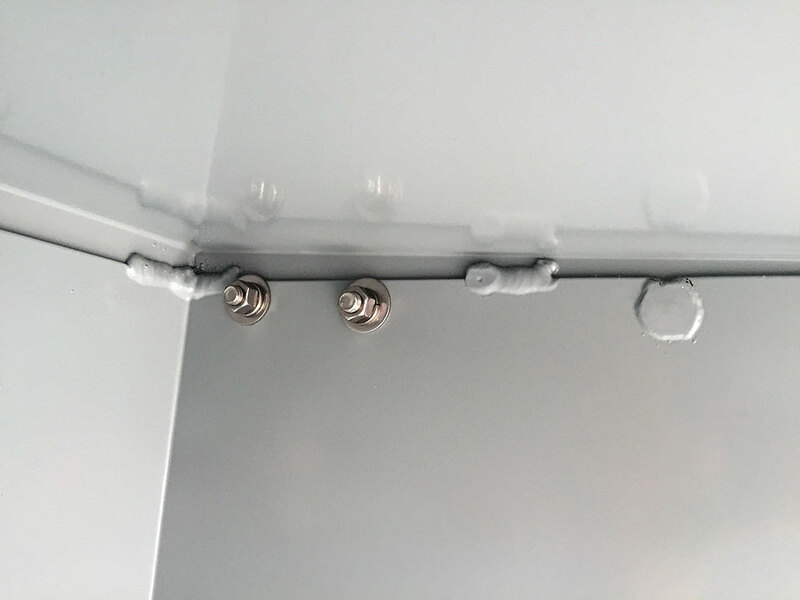 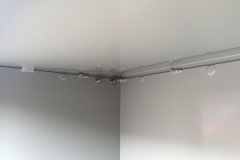 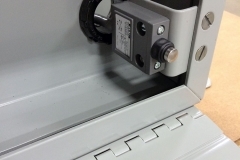 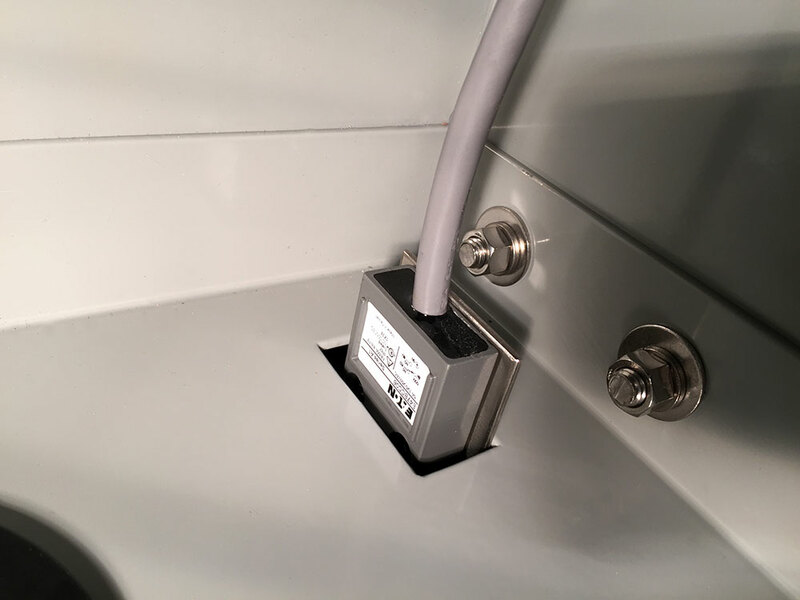 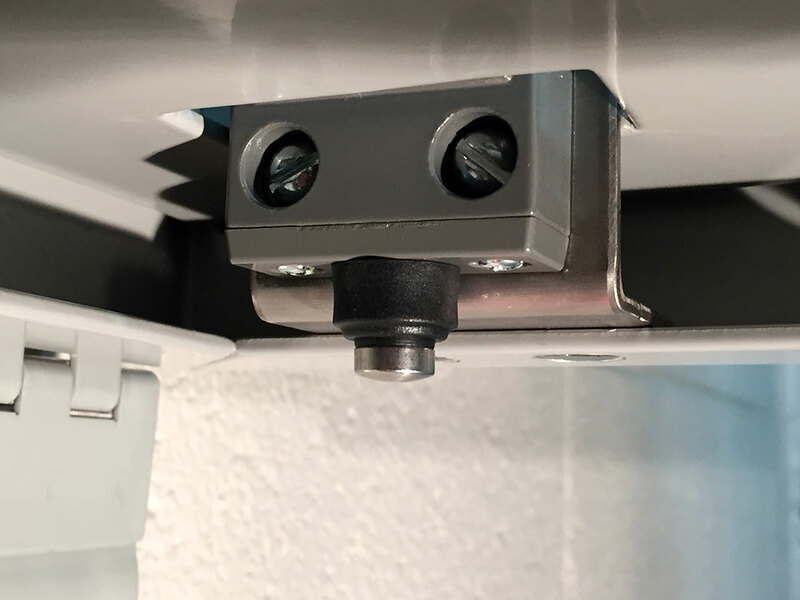 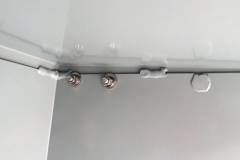 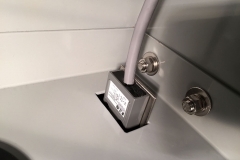 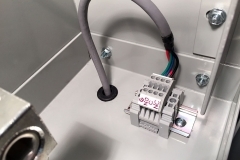 Prevents unauthorized cable disconnection by placing the Cam-Loks in a connection compartment behind a locked door. 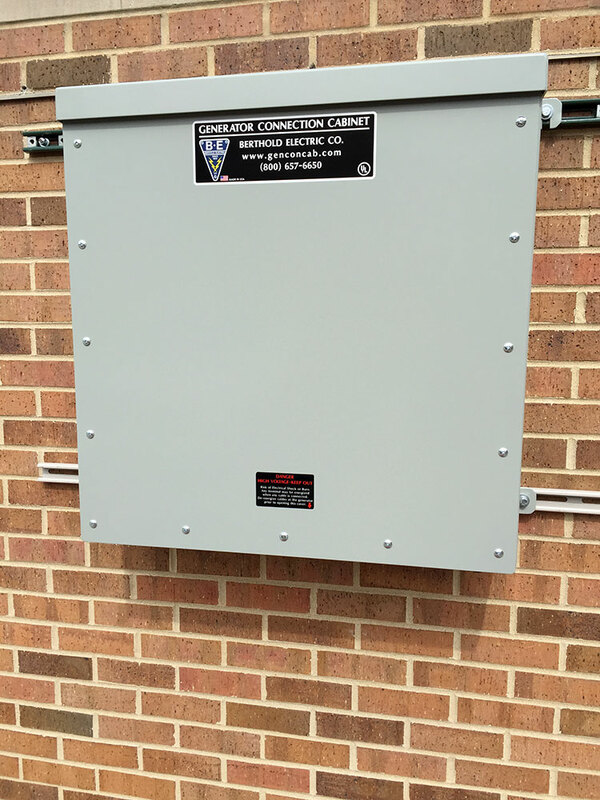 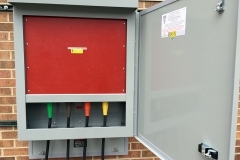 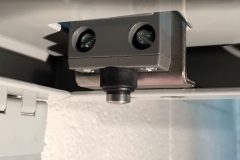 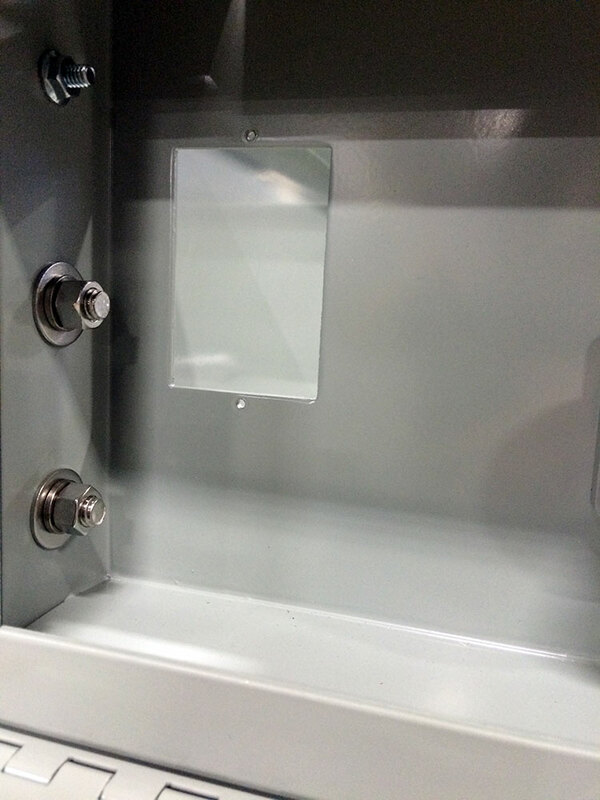 Cut-out in Cam-Lok mounting panel to accept a user-provided duplex receptacle. 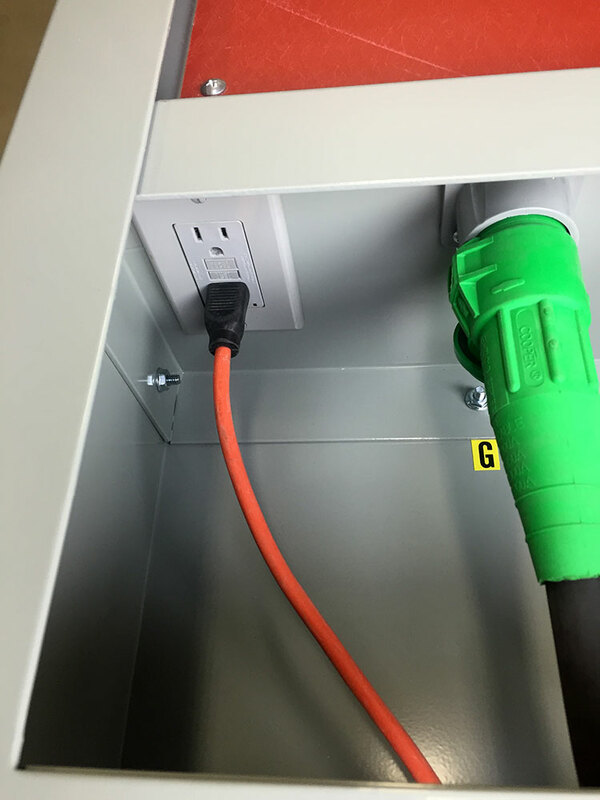 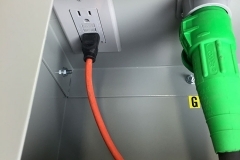 Connect to the utility source to provide a convenient location to plug in drop lights, tools, or the portable engine block heater and battery charger. 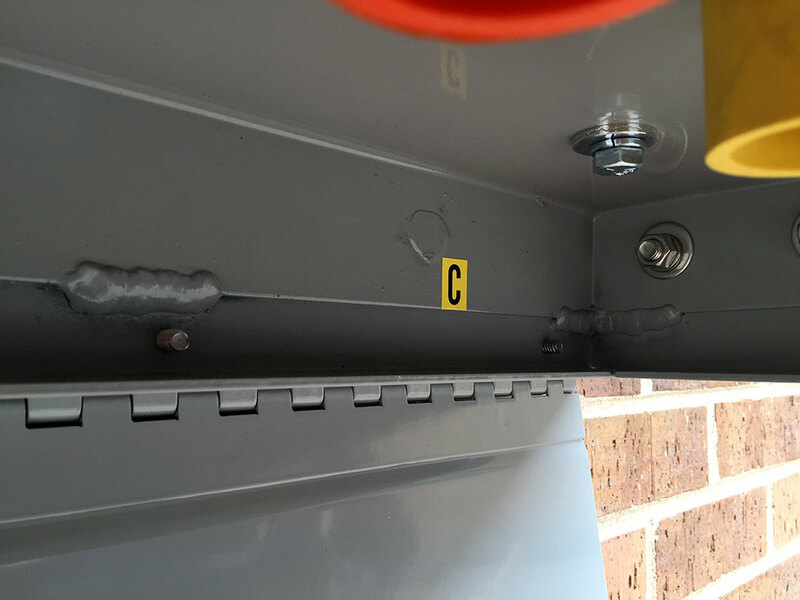 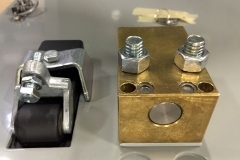 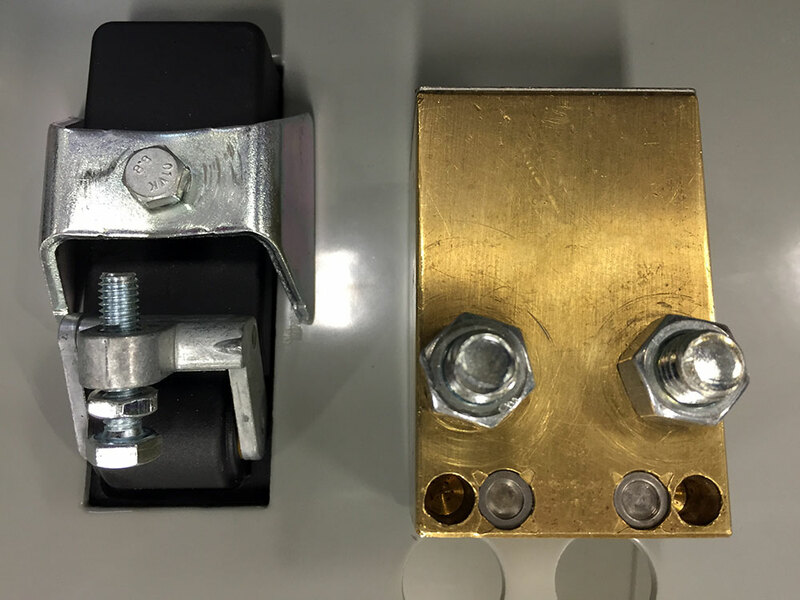 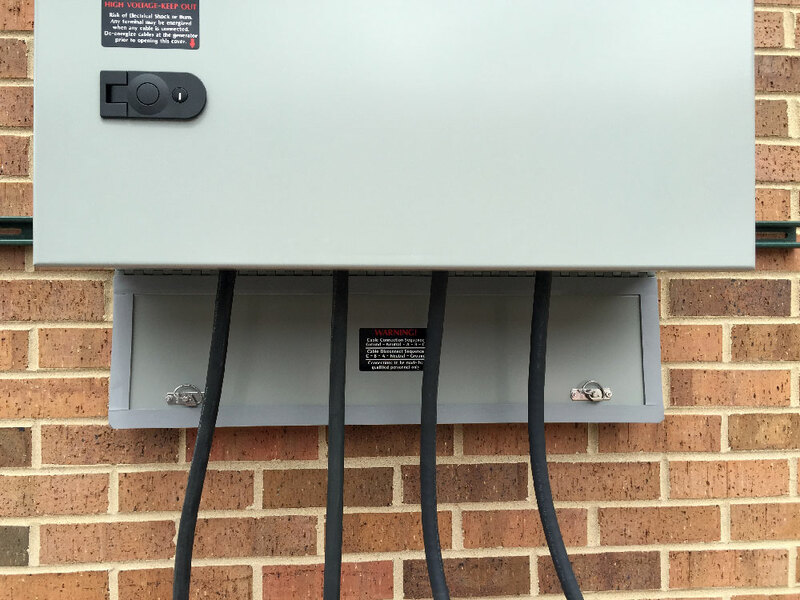 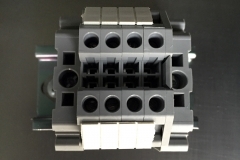 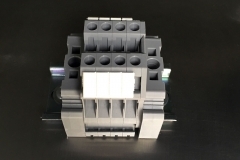 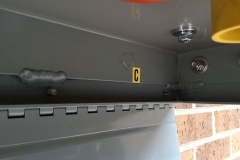 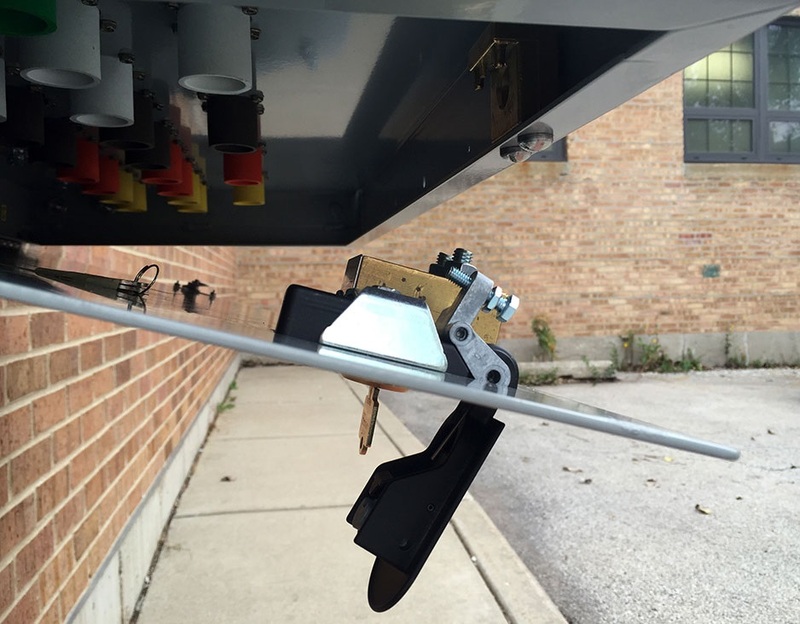 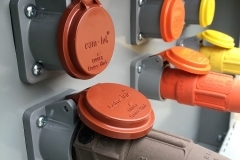 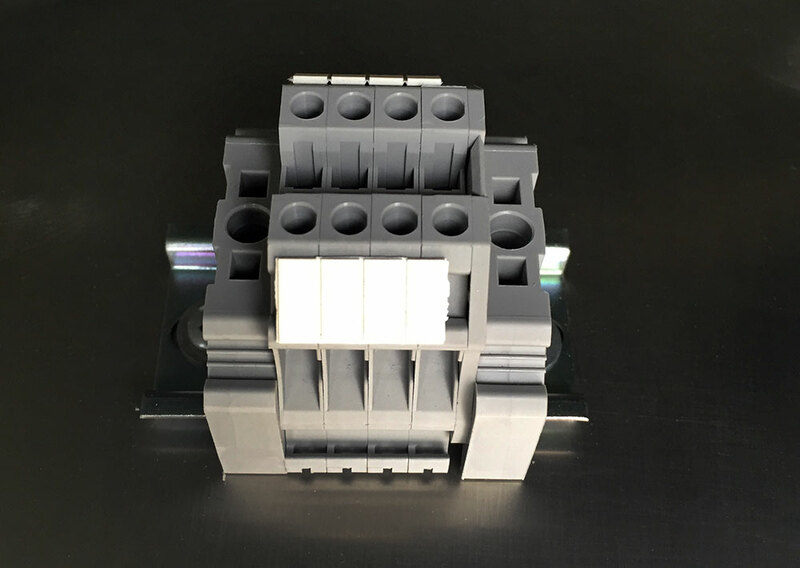 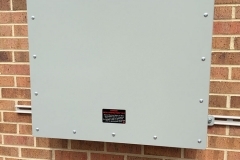 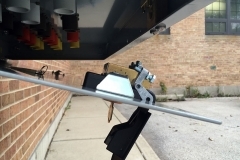 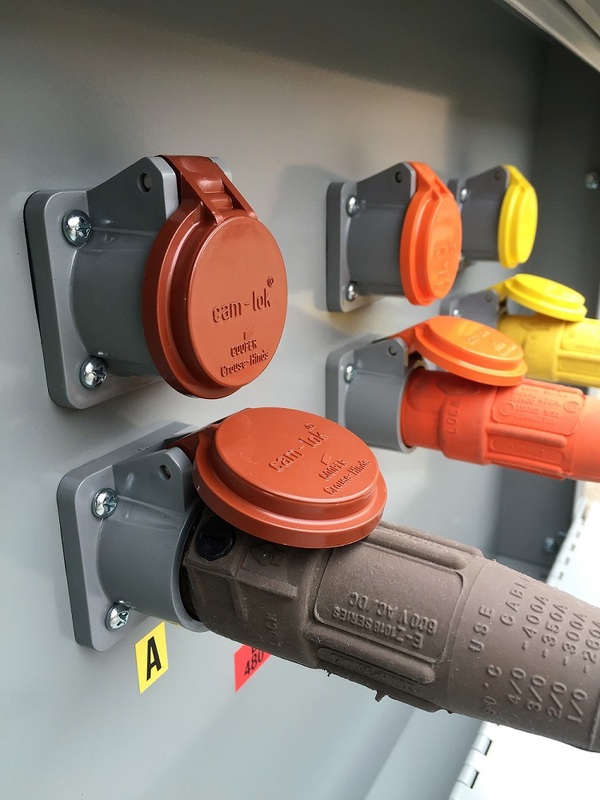 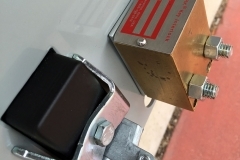 Cam-Lok generator connection points can be covered with a spring-closed molded plastic NEMA 3R cover for added safety. 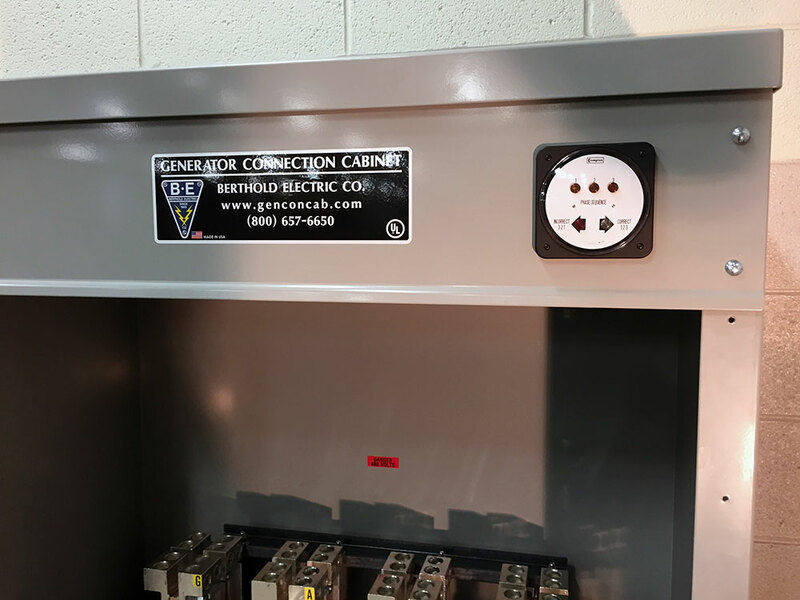 Especially useful for larger units where an undersized generator might be connected, resulting in some Cam-Loks remaining unused. 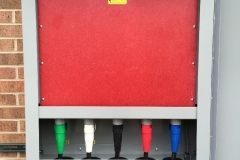 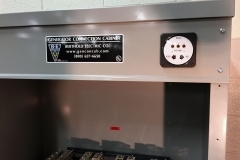 Also recommended for load bank applications where the Generator Connection Cabinet is energized by the permanent connections. 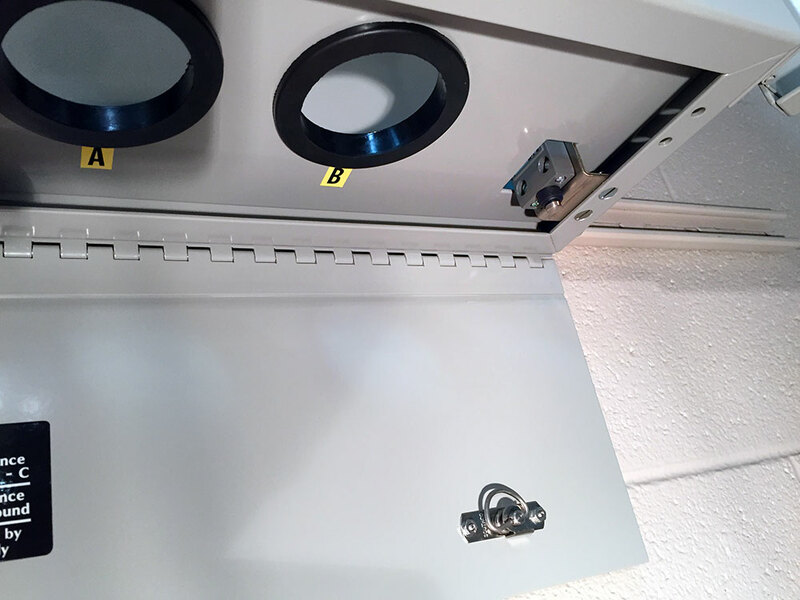 Cabinet is welded instead of fastened with carriage bolts (wall-mount ears and front cover are still bolted/screw fastened). 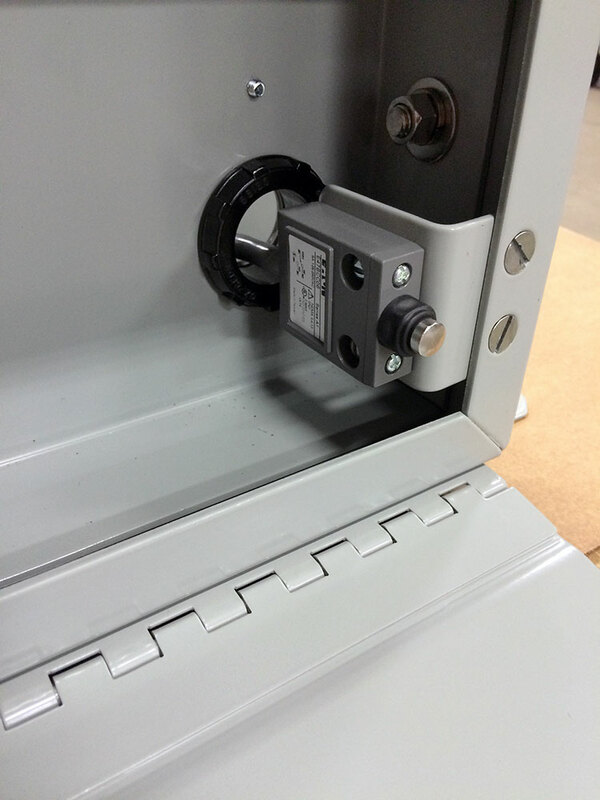 Choose this option when specifications call for a welded enclosure. 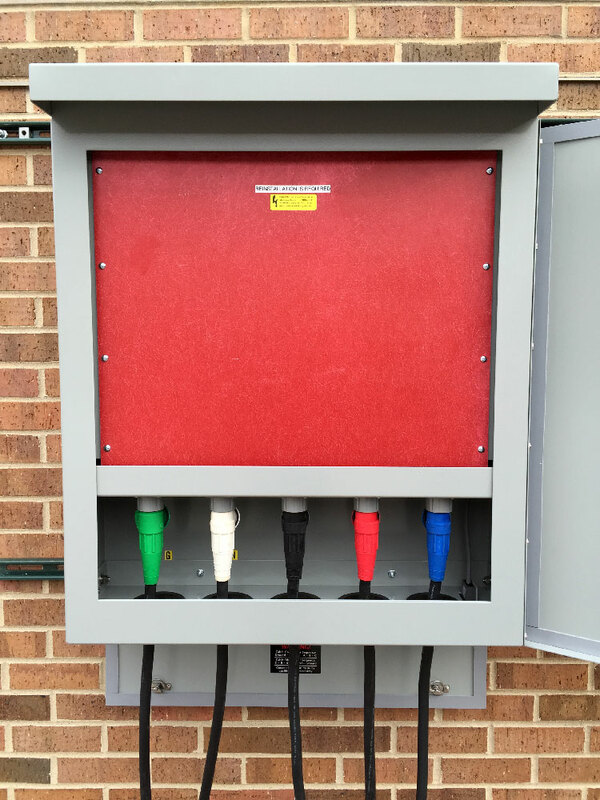 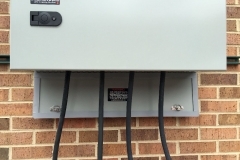 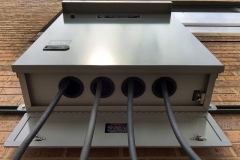 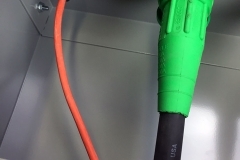 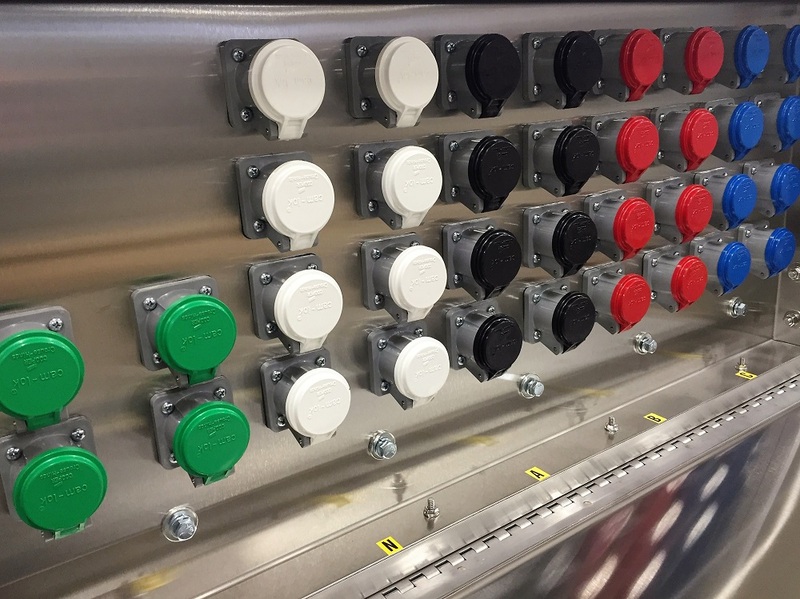 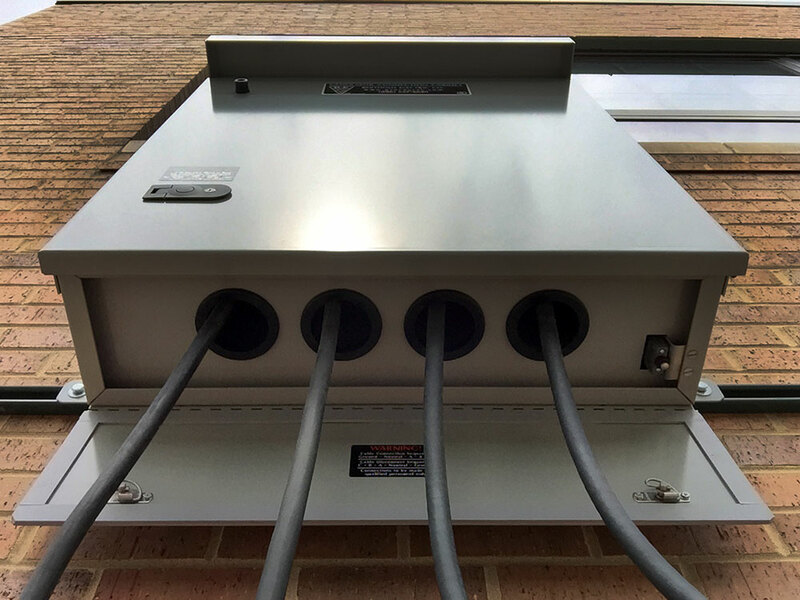 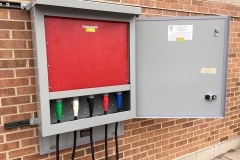 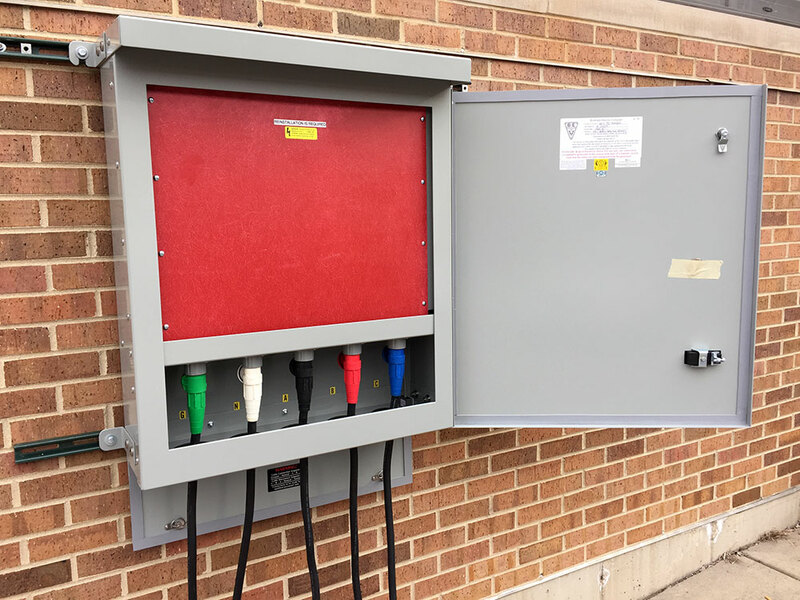 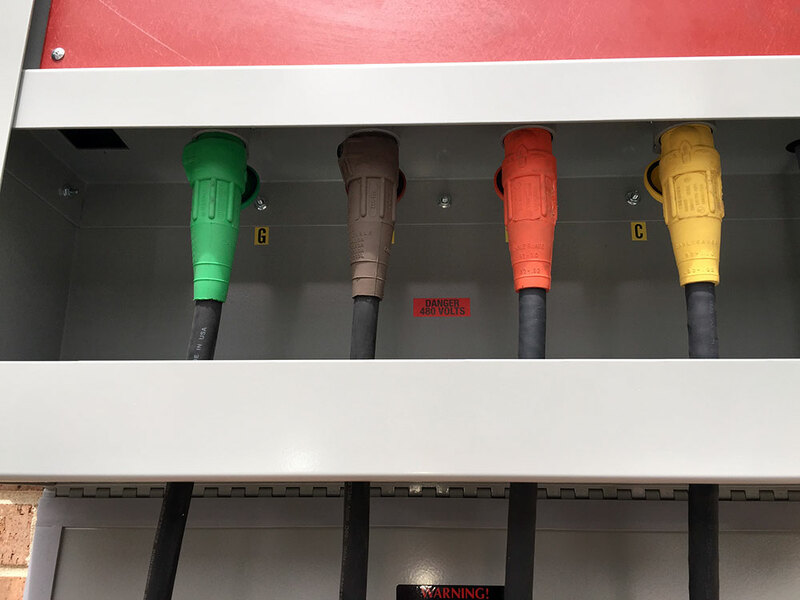 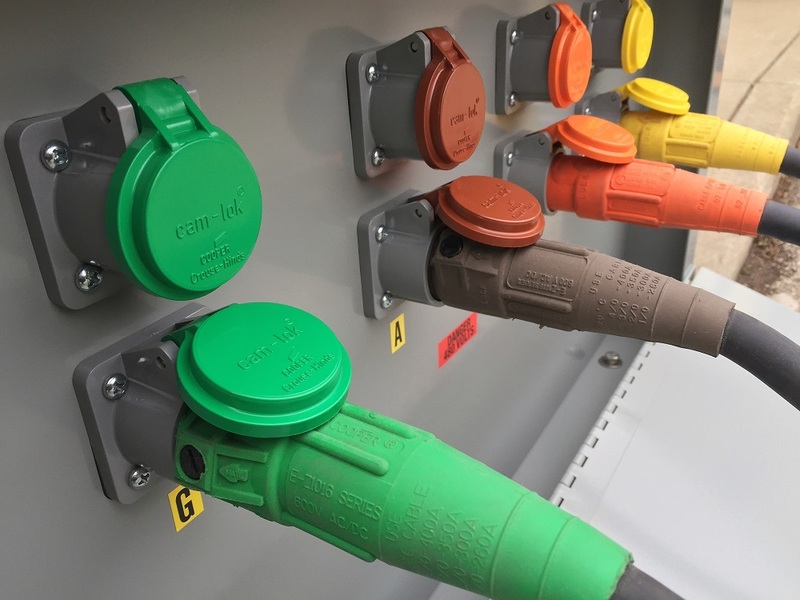 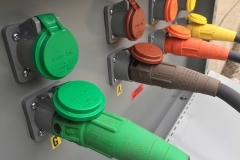 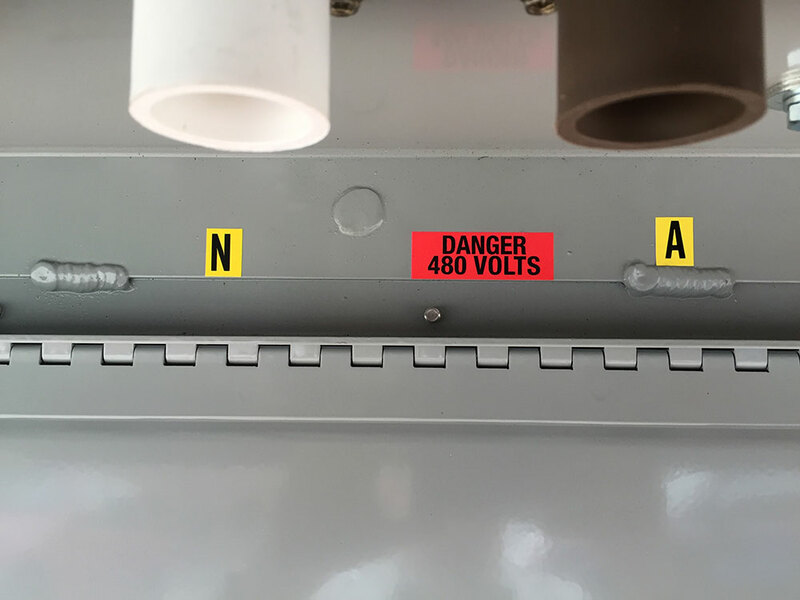 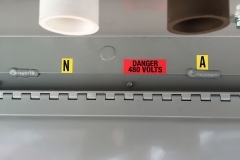 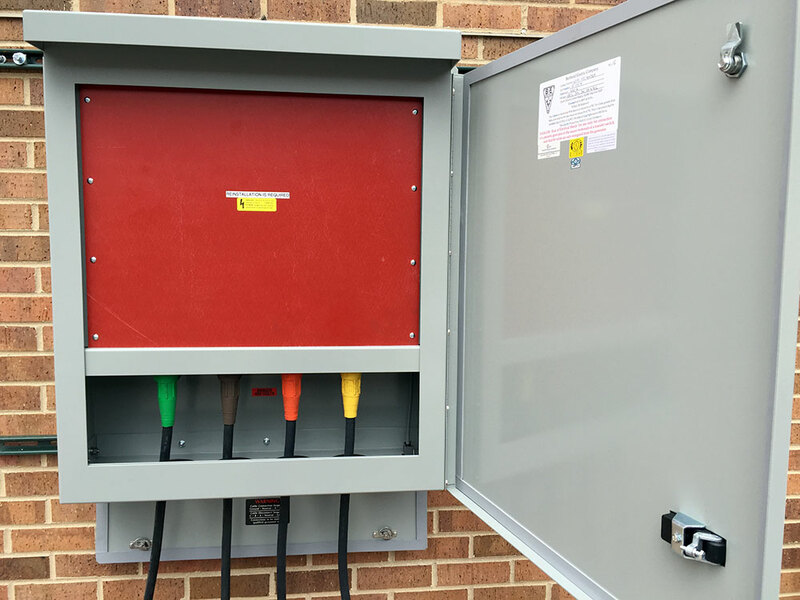 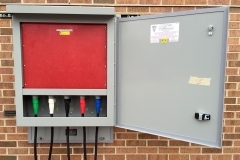 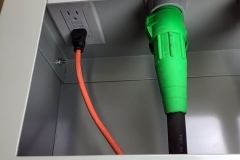 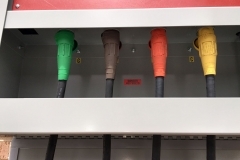 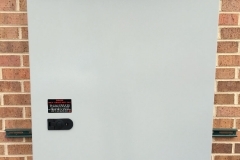 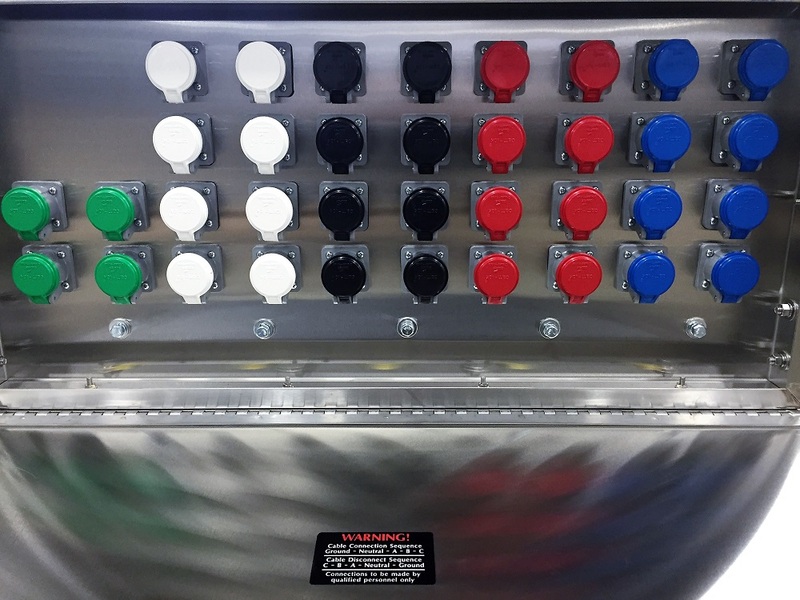 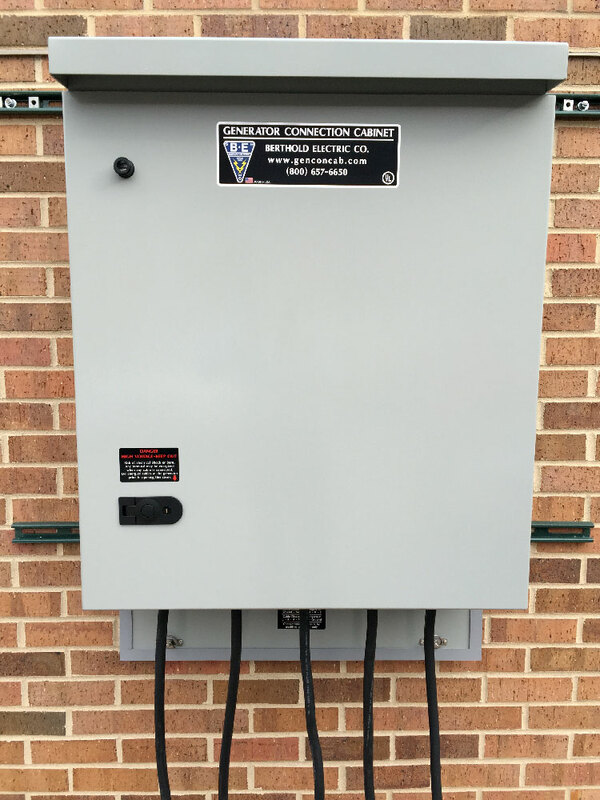 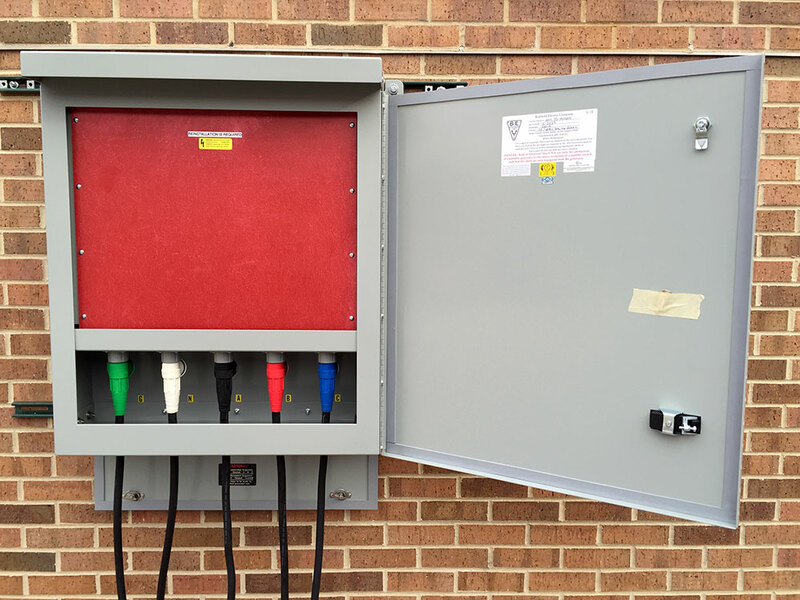 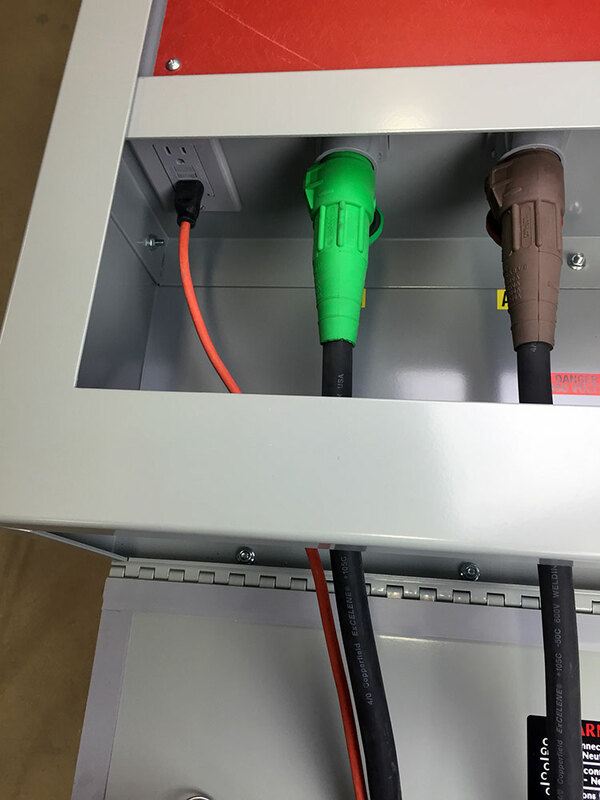 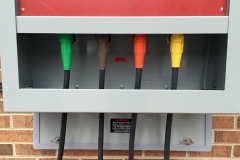 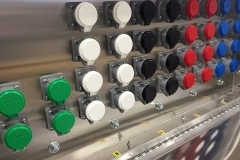 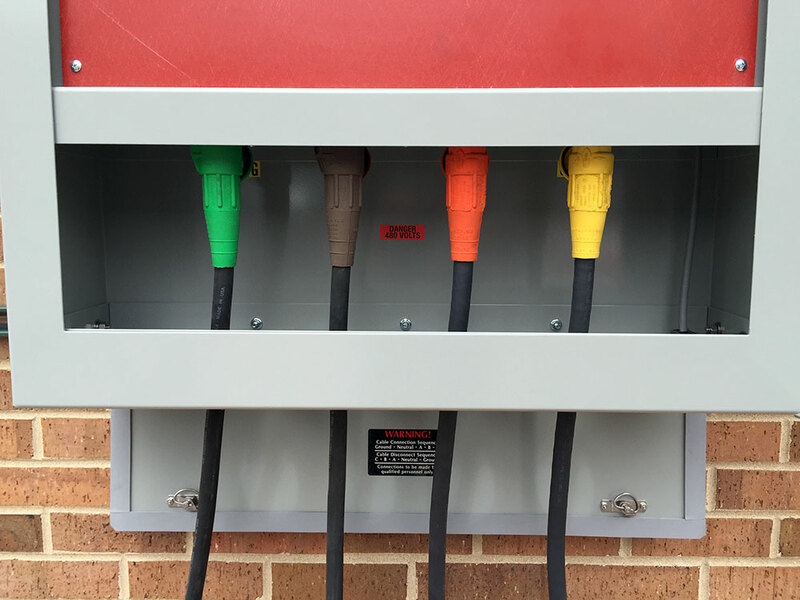 Choose this common option for a durable ANSI-61 gray powder coat finish to match other typical painted electrical equipment, or where a (standard) shiny aluminum cabinet is not desired. 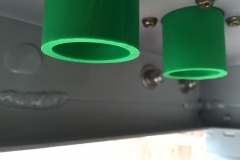 Other colors available upon request. 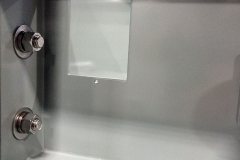 Type 304 stainless steel provides an attractive appearance along with additional corrosion resistance. 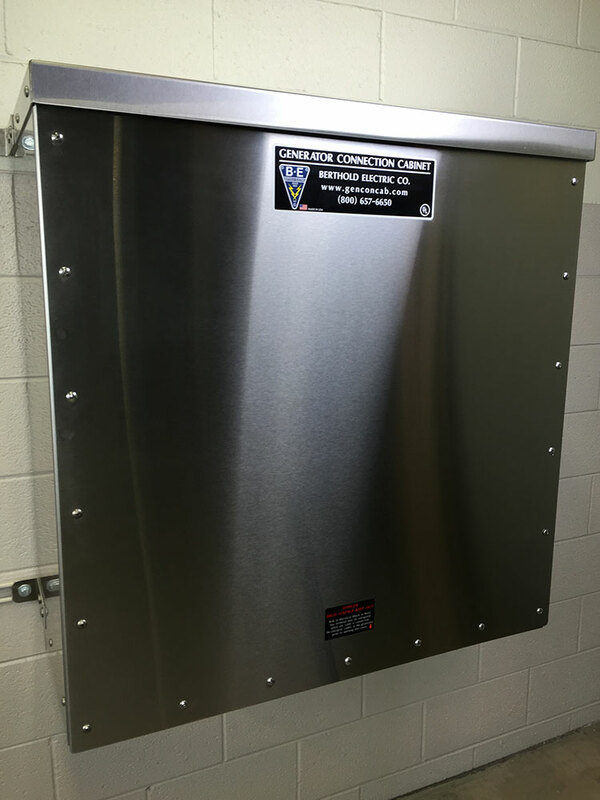 Recommended for corrosive environments (waste water treatment plants, parking areas that are salted in wintertime, areas near the ocean). 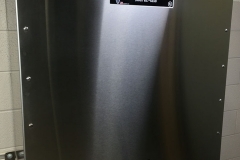 Type 316 stainless steel also available. 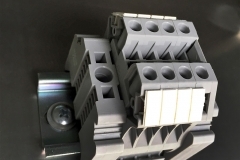 4-point (or more upon request) 20A terminal strip can be used for temporary generator auto-start or other control applications. 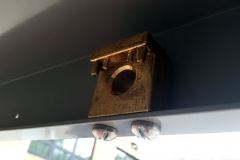 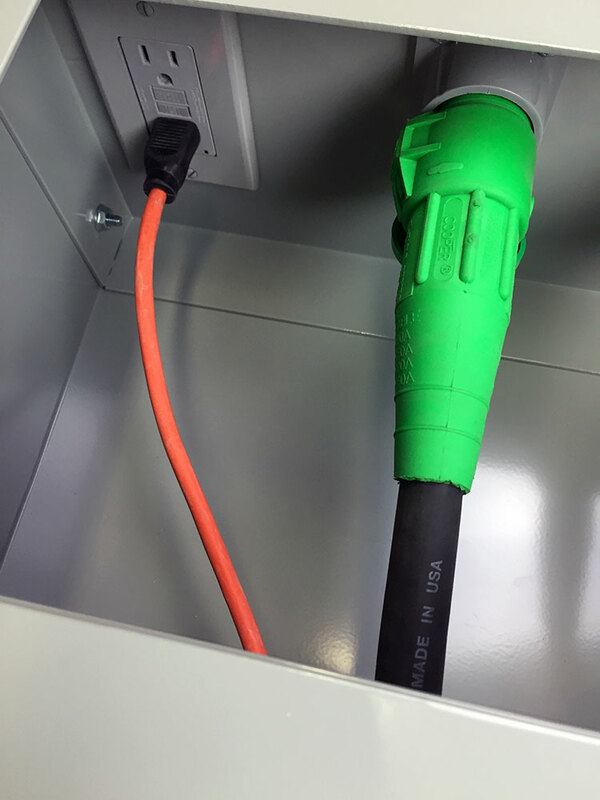 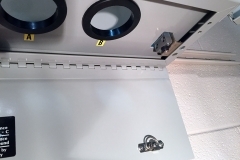 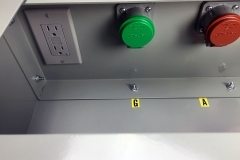 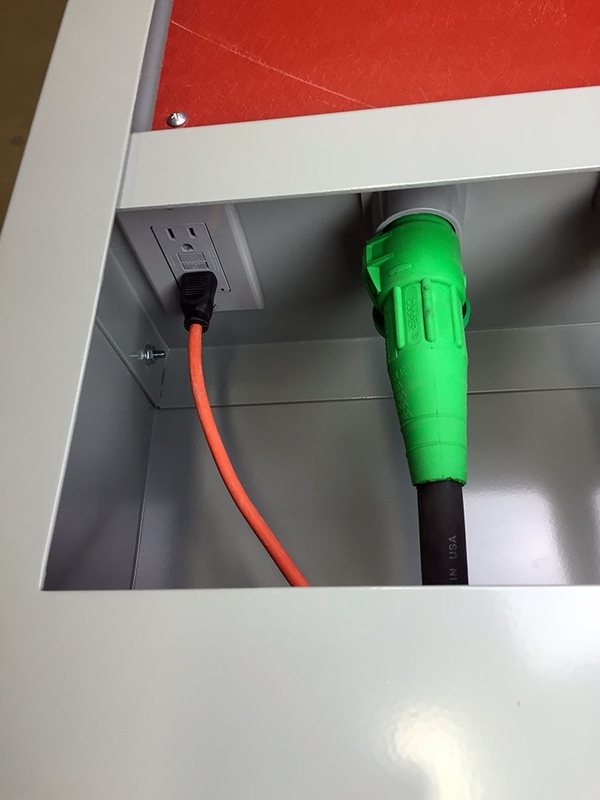 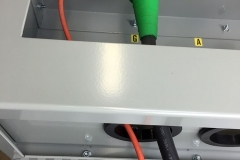 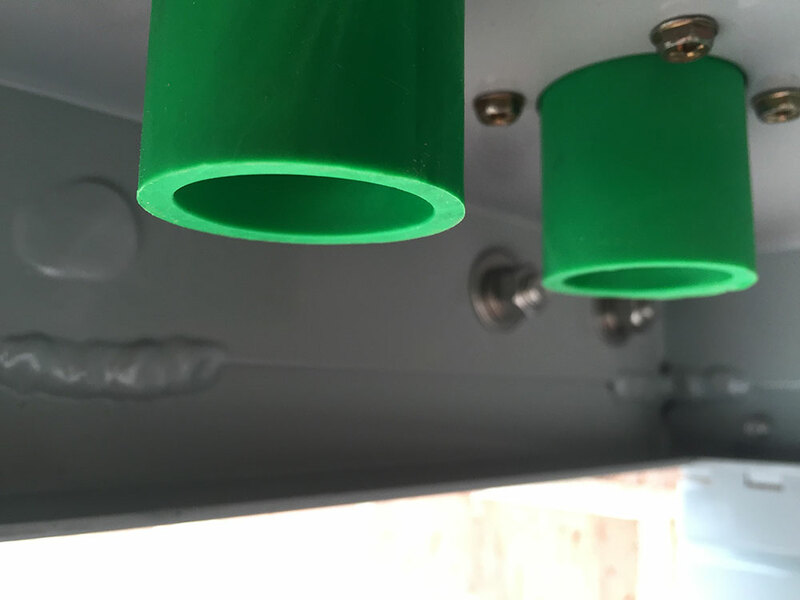 Terminal block is mounted inside cabinet with a bushing for temporary wire access.